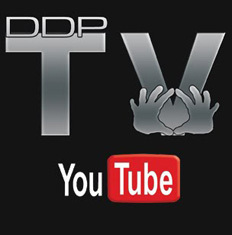 Da Real DDP: What does DDP think about NEW YEARS RESOLUTIONS? My downfall has always been a lack of goals, in physical fitness and in life, which of course leads to emotional unease and an inability to cope with the bad things in life. For the past ten years since finishing school I've basically been extremely defeatist, having no faith in my abilities, no motivation, and basically letting the effects of Autism and ADD-esque traits rule my life, leaving myself actually welcoming depressing thoughts sometimes. They're familiar. Safe. Sure, I managed a voluntary job and healthy diet for six months once, and it felt great, but it all fell apart, so why try, right? Wrong! 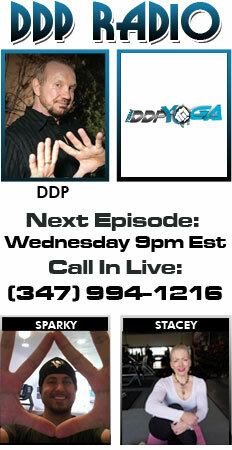 After hearing about both DDPYoga and DDP's 90% approach to life in general, I've been really inspired. Don't get me wrong, nothing changes overnight. I still doubt my motivation, I doubt my physical shortcomings such as my carpal tunnel syndrome, bad neck and knees, and my Autistic traits holding me back from being a real adult. 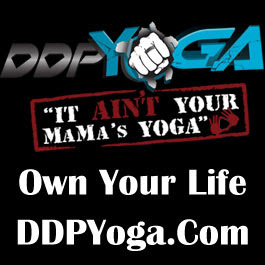 But it all begins with a single step, and my first step was ordering DDPYoga. I'm tired of making half-hearted resolutions that start "tomorrow" or "next week" and just pass by, and I'm tired of sitting on my behind doing nothing about myself and my life. I know I CAN do better than I am and as such, I now want to finally DO it. I eagerly await the sound of DVDs being posted. :D Here's to change!